It seems crazy to me to think that this year I will be the mom of a high school graduate. I know it’s cliché, but where did the time go? Seriously. It seems like yesterday I was enrolling Olivia into preschool and now I’m helping her with plans for graduation. Kids grow up so fast and with what seems like a blink of an eye, they are adults and venturing out to start their own lives. We’ve been busy bees this past month preparing for one momentous event coming up in June: Olivia’s prom. To a teen, prom is a huge deal and Olivia wants everything to be perfect. It wasn’t that long ago that I was preparing for my own high school prom with my mom. Life comes full circle, don’t you agree? We have a few items already checked off her prom prep to-do list including the dress and date. Olivia ordered a dress last month and it should be ready by the end of May and her date is her boyfriend, Jordan. The next item on the list was shoes which are almost as important as the dress. Your shoes can make or break your look so it’s important to choose carefully. 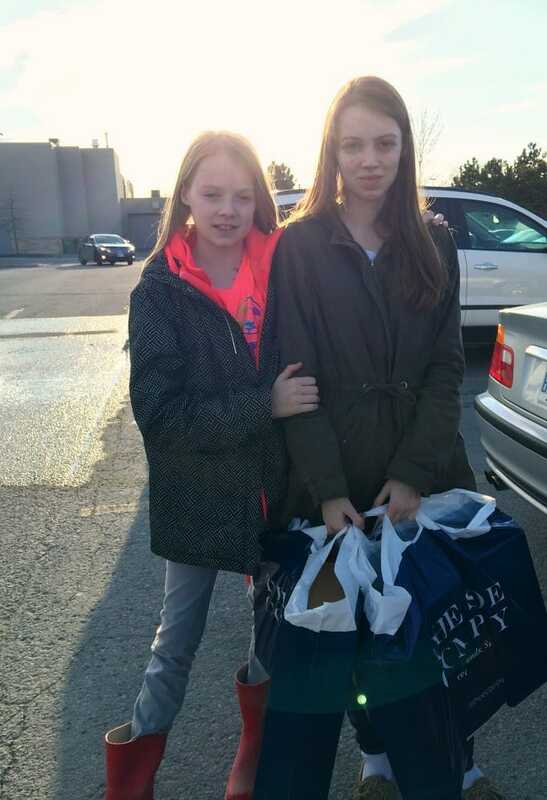 Earlier this month, our family headed out on a shopping trip to The Shoe Company in Kanata from our home in the Ottawa Valley. 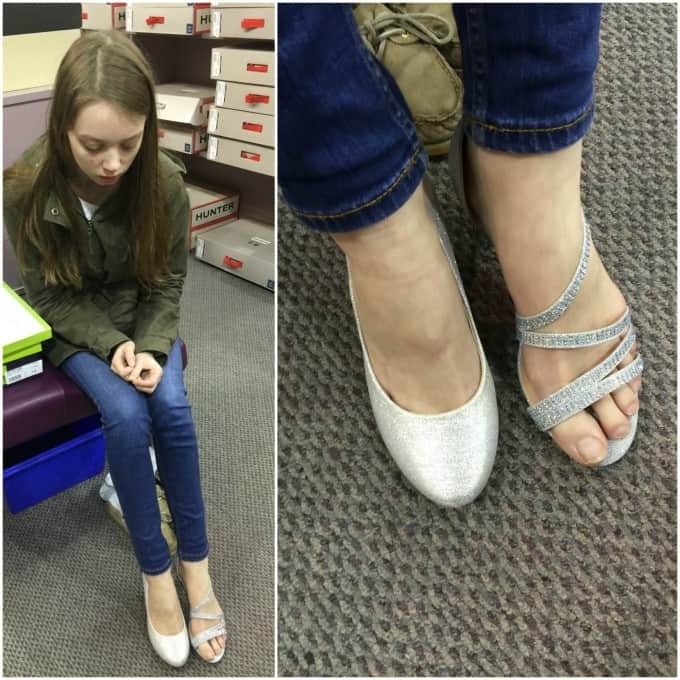 Our main job was to find prom shoes for Olivia, but we also ended up buying spring shoes for the entire family. 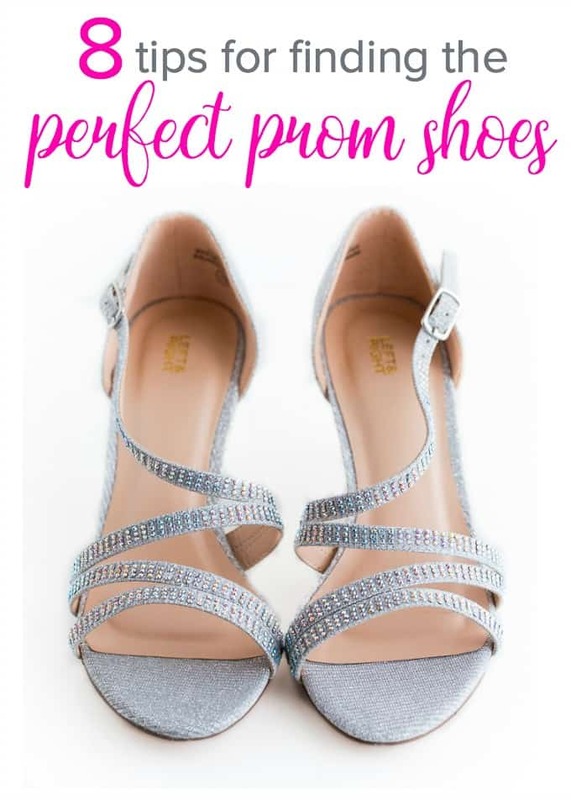 Today, I’m sharing our shoe shopping experience along with 8 tips for finding the perfect prom shoes. 1. Start early. Like NOW. Even though prom may still be a couple months away, prom shoes are now in stock. 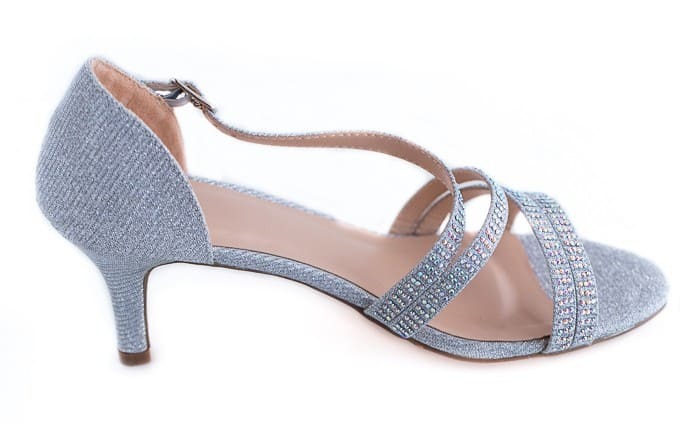 The Shoe Company has a fabulous selection of gorgeous styles of dressy shoes perfect for prom. Olivia wears a size 7 which is a popular women’s shoe size and they had lots of choices in her size for her to try out. Don’t wait to the last minute and feel rushed. Cross it off your list now so you can tackle the other items on your to-do list. 2. Shop later in the day. Not because the sales or selection are any better, but purely a physical reason: your feet. As the day goes on, your feet will swell a little. It makes sense to buy shoes when your feet will be at their largest versus buying first thing in the morning when everything is smaller. It was around 7pm when we went shoe shopping with Olivia. 3. Choose your dress first and your shoes second. Unless your teen finds a killer pair of shoes she just HAS to have, you typically buy the dress first and then look for shoes that complement it. 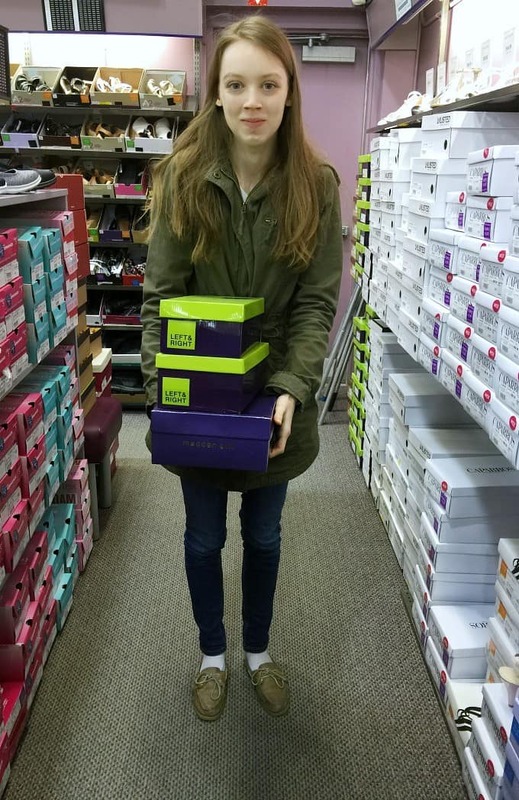 Olivia found a pretty purple prom dress last month so our mission was to find “the perfect shoe”, her words, to match. Normally, you’ll want to look for shoes that are the same tone or darker than the dress. Olivia wanted silver shoes to match her dress and her silver accessories. 4. Value both style and comfort. Obviously, the shoes need to be fabulous for prom, but they also need to be comfy to wear. Painful shoes can ruin an evening. As you and your daughter are browsing the aisles, choose the stylish shoes that catch your eye. Then, when your daughter tries them on, take note of how they feel. Are they the proper size? 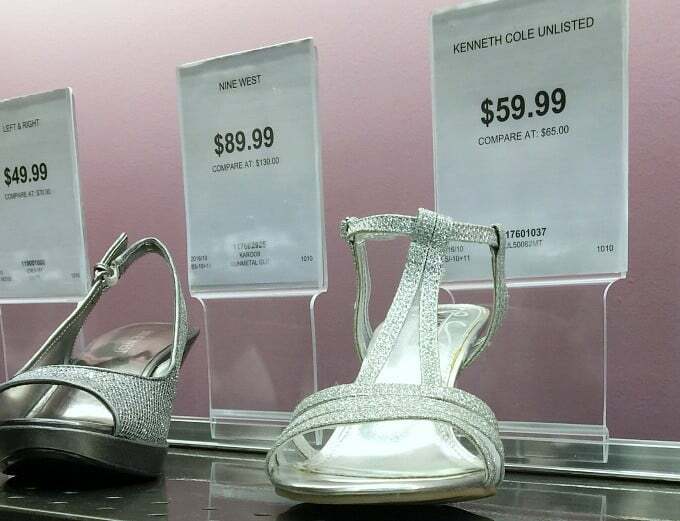 Tip: have the sales associate measure her feet to be certain. How do they feel to walk around in? Large stilettos may not be the best choice if your teen has never worn heels before. Don’t forget about practicality! 5. Consider purchasing “dancing shoes”. At every dance I’ve been to, the shoes come off later on in the night as people hit the dance floor. Normally that means people are wearing either stockings or bare feet. Think ahead and purchase a pair of ballet flats for this purpose. 6. Decide on open or closed toe shoes. In high school, I was self-conscious of my feet so I always selected closed toe shoes to hide them as much as I could. Olivia, on the other hand, loves the open toe look. Since her feet will be on display, she will need to do a couple extras to make her feet presentable like getting a pedicure, either a DIY one at home or visit a local spa, and paint her toes in a colour that complements her dress. This way, her feet will be smooth, moisturized and look dazzling in her new open toe shoes. 7. Start with a large selection and narrow it down later. 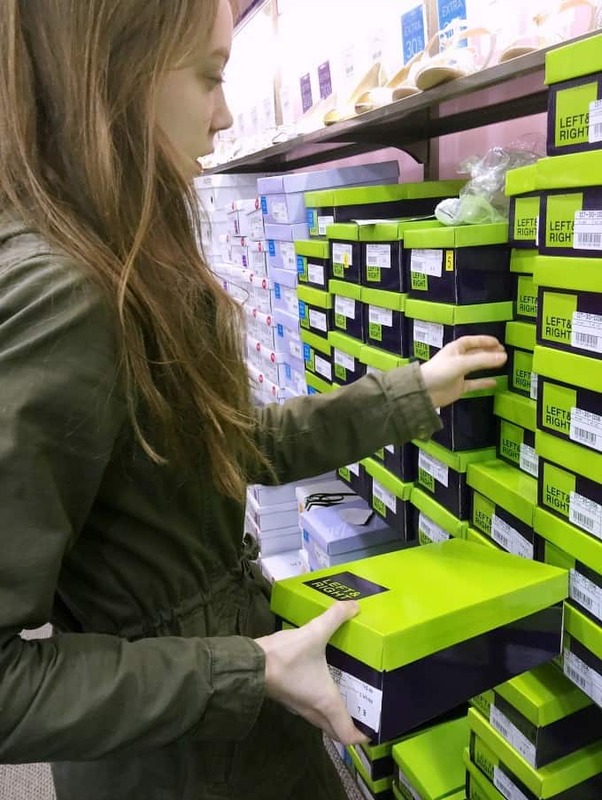 We walked up and down the aisles and selected the styles and sizes of the shoes that caught Olivia’s eye. I gave my suggestions, but ultimately, the shoes were her choice. After grabbing a bunch, she tried them on and we were able to narrow them down until we found “the one” or shall I say, “the ones” since shoes come in pairs! 8. Don’t be afraid to ask for help. If you can’t find a specific style or size, reach out to one of the sales associates to help you find what you are looking for. The sales associate at The Shoe Company was friendly and asked us if we needed any assistance. I liked that she kept a respectful distance, but was in reach for us to ask questions. If I were to describe our shoe shopping experience in one word, I’d choose effortless. 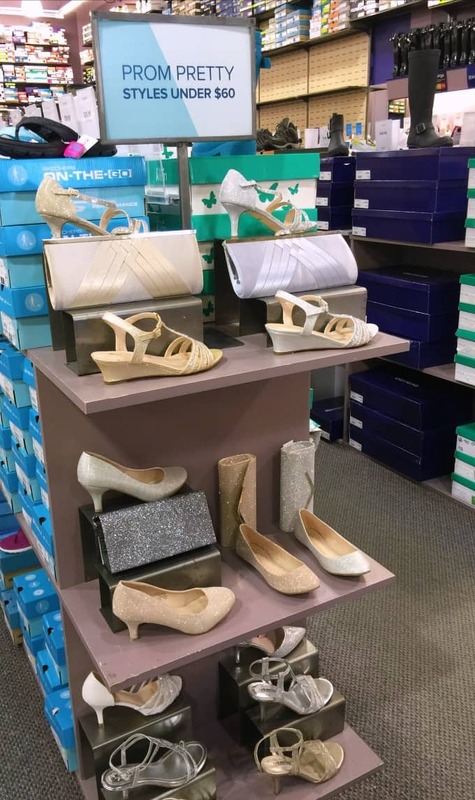 At The Shoe Company, we had access to a diverse and stylish selection and were able to find the perfect shoe without breaking the bank. We were in and out in under an hour and that was buying the entire family each a pair of shoes! Olivia selected these stunning Vero Strappy Heels in silver from Left & Right. They are glittery, chic and will match her dress perfectly. The heel isn’t too high and she felt comfortable walking in them. I’m looking forward to seeing how they look with the dress and I’m sure there will be some tears. My baby is all grown up. Visit The Shoe Company online or find a store location near you and start shopping now. You can count on great prices, service and top notch selection for all your family’s shoe shopping needs including shoes for prom! Do you have any prom shoe shopping tips to add to my list? Connect with The Shoe Company on Facebook and Pinterest. Great tips and super cute shoes! Great tips for those searching for any new shoes. I loved the idea of the ballet flats 🙂 The shoes that Olivia selected are super cute and will look fabulous I’m sure. Those are very nice shoes that she picked out for prom, you can tell her I also loved the other pair too, they looked great on her foot and would look amazing with a nice pair of jeans!! it will be nice to see her shoes along with the prom dress, she is going to look great!!!! These are some great tips and those sandals are lovely! Love the shoes she picked, so pretty! Great shoe shopping tips too! The ballet flats are a great idea. I’ve seen so many barefoot dancers! Lucky for me I’ve got a boy who’s graduating, selecting shoes is pretty simple for now. Great tips! I love the one she choose! Already graduating!